A relationship exists between our community and The Community Foundation. 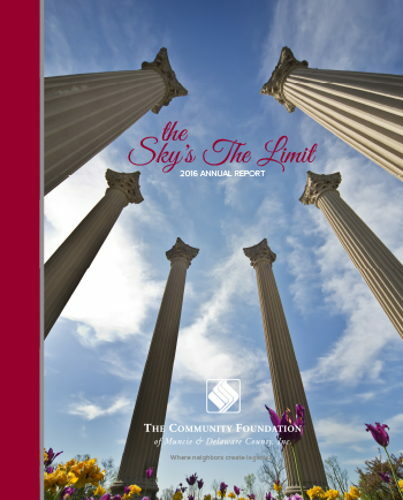 From the Foundation’s very beginning, the community and the Foundation made a commitment to support one another to enhance the quality of life for the residents of Muncie and Delaware County. 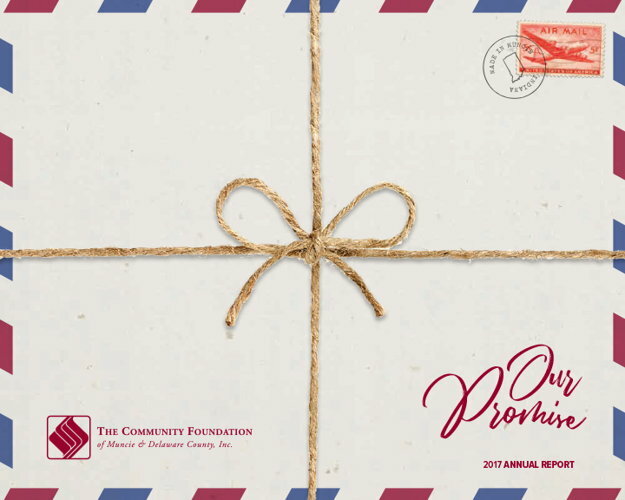 Each year, community members serve as volunteers, make gifts, create funds, and support the Foundation’s programs. At the same time, the Foundation’s Board of Directors and staff look for opportunities to engage the community in new ways and meet its ever-changing needs. These community contributions and Foundation actions are like love letters written back and forth, showing our commitment to one another. The Foundation spent its first 30 years planting roots in Delaware County. As we wrap up our 31st year, we see that the sky's the limit for what we can accomplish with the support of our dedicated community members. In 2016, we reached the young and the old from every corner of the county with our grantmaking. We are building momentum for a better and brighter tomorrow in Delaware County. Read about a few of the grants made in 2016 and view the entire list in our 2016 Annual Report.